TRADITIONAL THAI MASSAGE, and more..
Holiday：Year-End to New Year and Every Wedeneday. Sorry, we do not give massages to expecting mothers and mothers who are within 3 months after childbirth. We accept credit cards for payments above ￥5,000 only.If the payment is below ￥5,000, we can only accept Japanese yen. 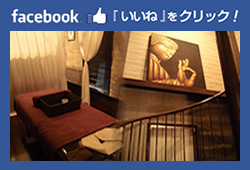 This is an official website of Relaxation Coran in the town of Chatan-cho, Okinawa prefecture. The information listed on this site are provide by CORAN. Copyright(C) CORAN OKINAWA all rights reserved.